Today’s blog title may be a bit long, but the word LEVERAGE is the important part. In today’s business and professional world, the small business owner, the service provider or professional must leverage their time, talent and dollars. One of Axiom’s clients, the OurSeniors.net and OurSeniorsDiscounts.net group has a way to do just that. This is a readymade web presence, social media platform, print distribution and a chance to break into an underappreciated networking group: senior networkers. Yes, seniors network too! In fact, they were doing it “over the back fence” long before smart phones were invented. Seniors tend to have tightly-knit circles of trusted friends, they may live in close proximity, they network and they tell each other about good deals. How can you get your business, professional practice, product or service in front of them? 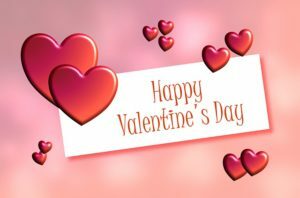 This opportunity is vast, including a presence on Facebook, mention in web blog articles at Ourseniors.net, online coupons at OurSeniorsDiscounts.net, and extensive distribution of printed offers from the print edition. At last count, that was 241 Pickup Locations and growing! You can learn more about this opportunity by AxiomAdminServ.com, or by calling Axiom at 800-888-6348, or by contacting the OurSeniorsDiscounts.net organization directly at 386-204-4727 (email them at Contact OurSeniorsDiscounts.net). Ipsos, the European market research organization, is a global market research and a consulting firm with worldwide reach. Several years ago, Ipsos teamed up with Google to study the online, social media and decision making habits of seniors and “Boomers.” If you are a busy professional or a business person, the results are important to you. 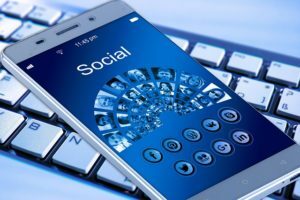 The internet is an everyday part of boomers’ and seniors’ lives; it is the top source for gathering information on topics of interest, outpacing TV and print media by a substantial margin. As an advertiser, it is critical to be present across both print and digital platforms in order to engage this audience. Over half of boomers and seniors watch online video with YouTube reported as the preferred site. Online video advertising has huge potential in captivating this group. 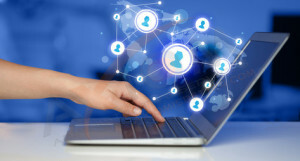 Social networking sites are used by the majority of boomers/seniors every day! More than half of this demographic is following a group or organization on a social platform. Facebook ranks #1 as the most used social network. Now we have a great new way for you to reach this key market, the 55+ and senior demographic. This is a great opportunity to leverage your advertising budget, giving you exposure in print, on the web and on social media. Take a look at the Axiom designed website at OurSeniorsDiscounts.net to see what we are talking about. Seniors will have a way to easily find your business online and in print from a high-quality keeper magazine. Please check the website (OurSeniorsDiscounts.net) then let us explain this in detail. Find out how by reading our plan in, “Especially for Advertisers.” We can be reached at 386-204-4727 or click on Contact OurSeniorsDiscounts.net to contact us by email. Axiom Administrative Services, remains an internet marketing agency that provides local SEO services, SEO techniques and digital marketing solutions to organizations of all types. However, we have grown far past that starting point. We are also involved in publishing a very successful printed publication that directly serves the needs of senior consumers. This is a high-quality, “keeper” magazine that is available free of charge to thousands of consumers through dozens of locations in the Volusia-Flagler and central Florida area (see a complete list at Pickup Locations). By advertising in the OurSeniors.net Magazine, you can give your enterprise an online web presence, a printed distribution and a social media boost! Starting soon, you can do even more – you can place a special offer in front of thousands of consumers. These offers are aimed at 55+ adults and seniors, but they are also seen by thousands of other viewers. Here is a great opportunity to leverage your advertising dollar in a way that increases your exposure in print, on the web and on social media. Take a look at the Axiom designed website at OurSeniorsDiscounts.net to see what we are talking about. This will make it easy for seniors to find and print your coupon online as well as to clip it in the old-fashion way. In addition, you will be online and on social media. To find out more, please visit Axiom’s small business services page or call Axiom at 800-888-6348. You can reach the good people at OurSeniorsDiscounts.net directly at 386-204-4727 or by clicking Contact OurSeniorsDiscounts.net. Axiom has been in numerous phases of traditional and web commerce for years. We have done our share of direct mail marketing, branding strategy campaigns, professional SEO services, logo design services and provided general digital marketing solutions to professional practices and businesses. This is important because our roots, our knowledge base, is not just deep, it is wide. This wide knowledge and experience has served us well in one of our most important niche activities: seniors and multimedia marketing. On our home turf (central and east coast Florida), no business can afford to ignore the senior market. It is a matter of necessity as well as privilege to serve them; seniors make up too large a share of the market to be ignored. Still, we know that many “internet marketing agency” types try to do so. They are often young professionals who grew up thinking digital. We did not. Highly professional web design services. You can see examples at net and OurSeniorsDiscounts.net. Producing and distributing a very high-quality printed publication, the net Magazine each quarter. You can see the online version at OurSeniors.net Magazine. Strong involvement in social media including Facebook and YouTube. Our involvement in outreaching, person to person contact with seniors and the business and professional people who want to reach them. Take a look at Brunch and Learn Events. Our business marketing team can combine traditional marketing tools like direct mail advertising with local SEO services to build a branding strategy aimed at seniors, 55+ consumers and all other markets. Please visit Axiom’s small business services page or call Axiom at 800-888-6348. How Can We Get an A Plus? Actually we already got an A+ from a very important source, the Better Business Bureau or BBB. The best businesses can earn BBB Accreditation by undergoing a thorough evaluation and upholding the BBB Code of Business Practices. 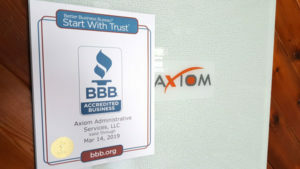 Receiving a Better Business rating of A+ means that Axiom has passed a stringent examination that includes business history, competency in their field of business, compliance with all laws and regulations and a history of successful resolution of any complaints. Axiom provides digital marketing solutions to small business, non-profits and service providers. 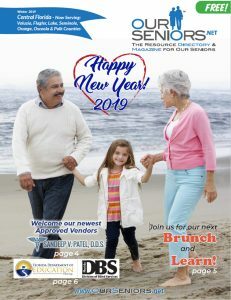 Axiom’s work for the OurSeniors.net organization is one of its most unique and successful online, social media and traditional print marketing efforts. Both Axiom and OurSeniors.net have realized the importance of marketing to seniors. In the state of Florida, seniors comprise about 20% of the total population and, they must be targeted in any successful print or digital advertising effort. Recently we have put our talented staff to work helping out with the digital effort in the new OurSeniorsDiscounts.net website and printed publication. This printed and online coupon collection will offer service providers and businesses an effective way to reach 55+ consumers across three media platforms: print, online and social media. To see how this might work for your enterprise, click Facebook Post. This Facebook page illustrates how our own little web of print, online websites and social media can work for you! You can get details about this outstanding opportunity by calling OurSeniorsDiscounts.net at 386-204-4727, or contact them at Contact OurSeniorsDiscounts.net. Our business marketing team can combine traditional marketing tools like direct mail advertising with local SEO services to build your branding strategy. Please visit Axiom’s small business services page or call Axiom at 800-888-6348. So, what does this mean to a business or service provider that has had a Google+ page? If that page is on a personal Google+ page, it will be disappearing, but do not confuse this with Google My Business. Google My Business is about connecting your business to your visitors through search terms, Google Maps and queries. It is definitely not going away; in fact it is more and more important. Stay tuned and we will remind you of how to claim and use your Google My Business account. In the meantime, if your site has any links to Google+ personal pages, now is a good time to delete them. Remember that Axiom understands the needs of small businesses, professional practices and nonprofits. Please visit Axiom’s small business services page or call Axiom at 800-888-6348. Today, almost all marketers, including internet marketing agencies and professional SEO services should reach out to the “boomer-consumer” generation using both technology and traditional media like printing or mail advertising. But how can a business do this on a limited budget? Get some ideas by reviewing Axiom’s article, Reaching the “Boomer-Consumer”. To see a great example, look at one of the new websites that Axiom is managing at OurSeniorsDiscounts.net and get on board to reach the senior market! Visit us at www.axiomisbetter.com or call us at 800-888-6348 for a free consultation.